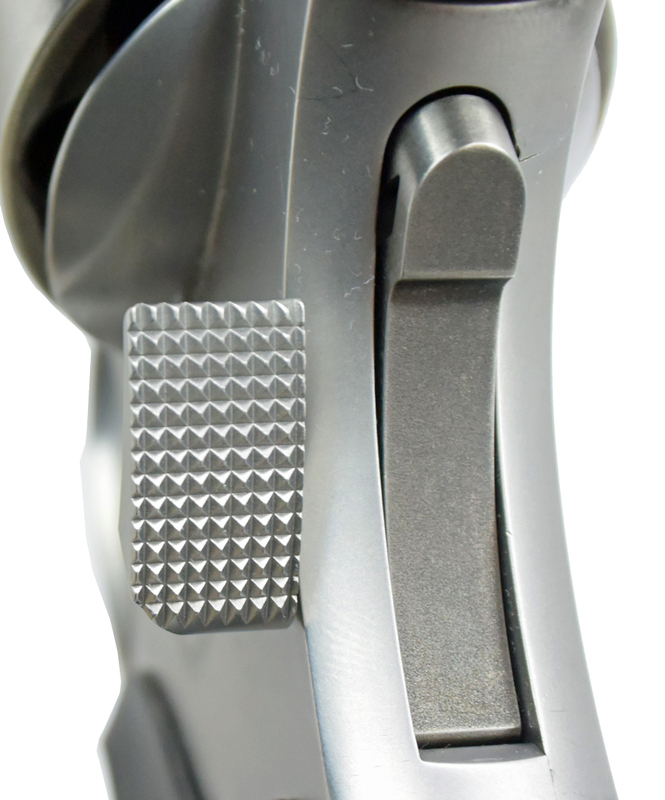 The TK Custom Cylinder Release has been designed with a fully checkered, extra-large thumb pad, providing positive engagement creating a smoother/faster reload. The slight radius of the cylinder release arm increases the leverage making disengagement of the cylinder easier. Manufactured from high quality 17-4 Stainless Steel in matte finish. 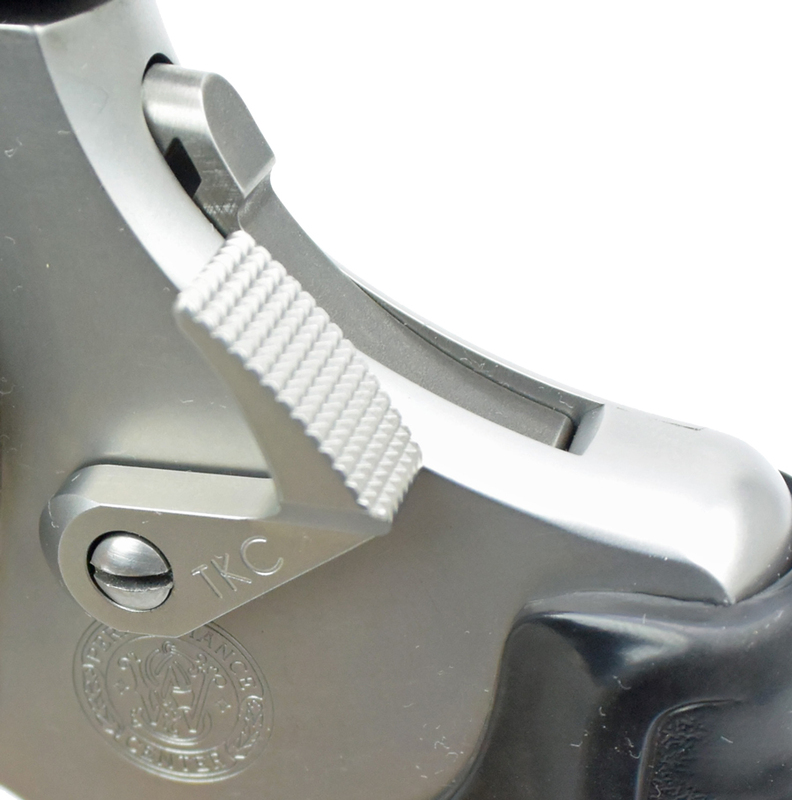 This will fit Smith and Wesson K/L, N frame revolvers. Some fitting may be required.